TTB and Austin City Limits are pleased to announce a live stream of the final taping of Season 41, featuring Tedeschi Trucks Band live on Monday, Dec. 14, 9pm ET / 8pm CT. The taping will webcast in its entirety via the ACL YouTube channel, powered by Dell. The broadcast version of this show will air as a full-hour Season 41 finale February 13th, 2016 on PBS. 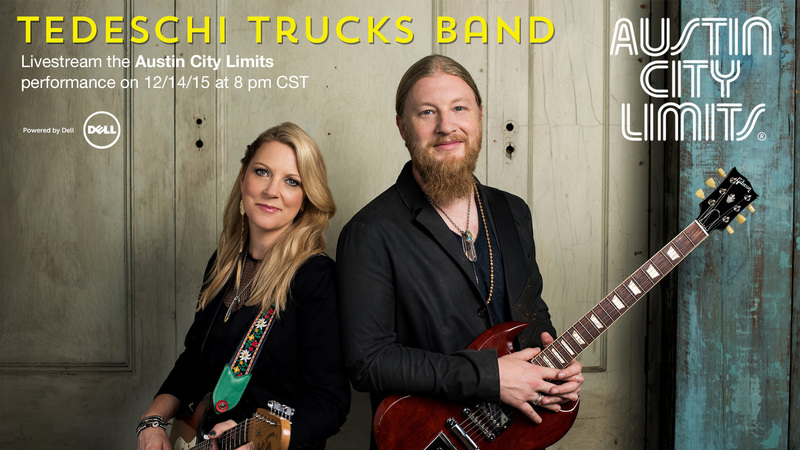 Join us for this highly-anticipated live webcast of the Austin City Limits debut of Tedeschi Trucks Band, and if you’re in the Austin area, click here for a chance to attend the taping in person.